Father (Albert Ewart Webb) was a partner in the long-established brush factory with his cousin Harry (Henry George). Senior partner was Harry’s father George. George, and Albert’s father William, were sons of Robert Webb, who founded the brush factory in 1829. 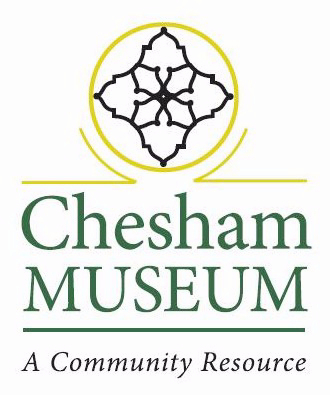 [*see ‘Chesham at Work in the 20th Century’ for more information]. What better wonderland for a child’s playground! From the arrival of the raw materials – the newly-felled beech trees in the yard, and the bales of bass fibre and bristle from china – to the finished products, neatly packed ready for dispatch – all was unalloyed enchantment! The tree trunks were sawn up into progressively smaller items and stored in a drying room on moveable racks until seasoned, to be used as the backs of various brushes. The waste material was far from wasted as it was used in our home for fire-lighting, etc. The finest grade was ‘shavings’ – the curled trimmings from the machine which shaped the backs – then ‘lighting wood’ and ‘backs’ and finally ‘blocks’, the large rough offcuts from the preliminary shaping on the sawmill. Adjoining the saw mill was the boiler room and engine room, presided over by Mr Bull, a fascinating and rather awe-inspiring place! the men at their machines. How fascinating to see the shavings flying from the wood-turners’ machines! Or the bristles being filled into the brushes, about eight at a time, as the operator guided the machine’s nozzle into the holes of the metal pattern, or in the pitch room where all was quiet as the men hand-made the big bass brooms for road sweeping. Each portion of bass was trimmed, dipped into the trays of boiling pitch, deftly bound with cotton thread, dipped again in the pitch and then inserted in the prepared hole. Such a pleasant and healthy smell – and sometimes the men could be persuaded to make us an ‘eyeglass’ by bending the bass to form an eyeglass and handle and dipping it into the pitch to make dark glasses through which we could look at the sun! Robert Webb, founder of the firm, was obviously a man of parts. As a sideline, he was the Town’s surveyor, a surveyor then needing no specialised education or training – any man with versatility and gumption enough could fill the role. A report of his activities in the Bucks Examiner of 27th April 1951 shows that he provided a well and a pump in the Broadway ‘an immeasurable boon to the townsfolk’ and it was he who nursed the sick suffering from ‘The Pest’ and to avoid infection to himself and his family, kept a pot of pitch boiling front and back at his own house in the Broadway. Robert was also responsible for setting up the town’s Fire Brigade in 1868. Kathleen Winifred Flory (nee Webb) 1909-1994. This is an extract from some memoirs she wrote for her children. Kathleen was the great-grand-daughter of Robert Webb, who in 1829 founded Webb’s Brush Factory.